Smallest of 3 fillet fishing knives--perfect for smaller fish. 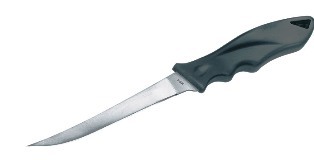 Full tang blade, non-slip handle. Sheath included.